"Welcome to My Personal Website"
Mr. Jose Alfredo Rivas, M.S. "Welcome Everyone to my Website!" 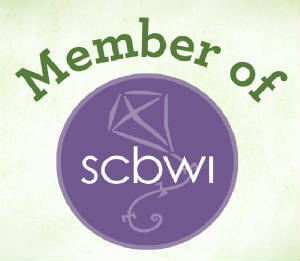 Enjoy learning about my successes and accomplishments, and about me and my dog, Coca. 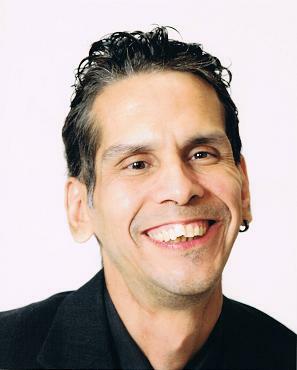 Jose (Joe) Alfredo Rivas born on November 27, 1967, in Dallas, Texas. He was born with cerebral palsy, a neurological condition that limits his motor skills and speech. Salvador and Manuela Rivas, his parents, lived in Lancaster, Texas. Mr. Rivas’ parents both passed away during his teenager years. After high school, he relied on family and friends for transportation because Lancaster did not offer public bus services to persons with disabilities. In 1991, Mr. Rivas negotiated a transportation deal with an adult daycare facility that allowed him to use their transportation system to attend Cedar Valley Community College in Lancaster. The adult daycare provider charged $5 for the service, later increasing it to $10. Mr. Rivas graduated from Cedar Valley College in two years. He then transferred to the University of North Texas where he received his bachelor’s and master’s degree in Rehabilitation Counseling. Mr. Rivas has fund-raising experience, including organizing two events that featured a musician with physical limitations. 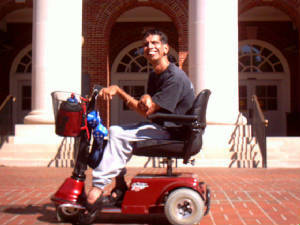 Mr. Rivas has completed an internship at United Cerebral Palsy of Metropolitan Dallas. His duties included: one-to-one peer counse ling, documenting client-contact, working with a budget, planning and implementing activities, developing new funding resources for the Community Living Assistance Support Service (C.L.A.S.S). 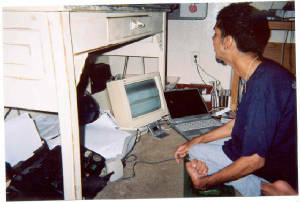 program, assisting clients in locating needed items, accessing other service providers for assistance with clients needs, and interpreting policies and procedures to clients and co-workers. Mr. Rivas also has completed two practicums for the University of North Texas. The first practicum was at the Lake Forest Good Samaritan Village retirement home for the elderly. His experiences at the center included: visiting residents, assisting with activities, promoting social events. The second practicum included Texas Woman’s University in the office of Disability Support Service and Reach of Denton. These experiences gave Mr. Rivas opportunities to work with clients and students in one-to-one and group counseling sessions, work with other service providers, develop social events, interpret ADA policies and procedures, and to promote our services. Mr. Rivas has won two extra mile scholarships and the Dallas Mayor’s Committee for the Employment of People with Disabilities Scholarship two years in a row. He has been a member of Phi Theta Kappa, and served as secretary, vice-president, and president for the Cedar Club at Cedar Valley Community College. Mr. Rivas has also attended the Texas Rehabilitation Association (TRA) Conference in Houston, Fort Worth, and San Antonio. In addition, he has participated in several Catholic Conferences in San Antonio and Dallas. Mr. Rivas is active in public speaking and has conducted seminars and lectures about personal issues and topics regarding persons with disabilities, including topics about recruiting caregivers. He has been featured in several newspaper articles and he has appeared on TV news reports that addressed issues of employment of people with disabilities. Mr. Rivas was also featured in art shows where art students from the University of North Texas exhibited their paintings and drawings of him. 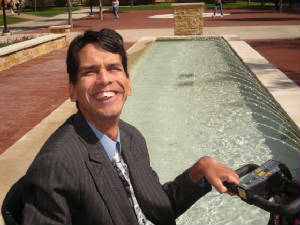 Mr. Rivas also continues to work on several activities such as being a Council member for the Texas Council on Developmental Disabilities, a board member for the REACH of Dallas agency, an online community college instructor for Dallas Telecollege/Easstfield College, and North Central Texas College (NCTC), and his autobigraphy "Brick of Faith". Mr. Rivas hopes to publish his first mythical novel “The Adventures in the Land of Noal”. These mythical stories centers around tales about unicorns and centaurs as they search for twelve black stones used to open portals between earth and the land of Noal. 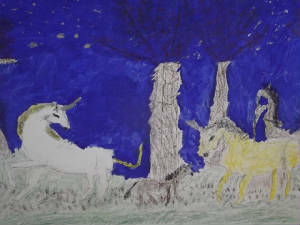 This piece of literature and artwork illustrates the peaceful relationship between unicorns and centaurs as they stroll through the forest of Noal. The stars and ground created Noal for creatures that only seek a peaceful land. The stories also includes elves (guardians of unicorns), Black Antars (human-like creatures that hunt unicorn for their horns and blood), a witch (a guardian to the unicorns), a fierce dragon (enemy to unicorns), and other creatures/characters. Aspen (who died on August 26, 2008) was his dog. She was a Spitz that has filled his life with joy and happiness. Aspen had been seen on TV, in newspaper articles, flyers, and in magazines with Mr. Rivas. She was welcomed in most businesses and residences in Denton, Texas. Aspen was a very good dog. Mr. Rivas currently lives in Denton with his current dog, Coca. Coca is a black mini-Spitz.